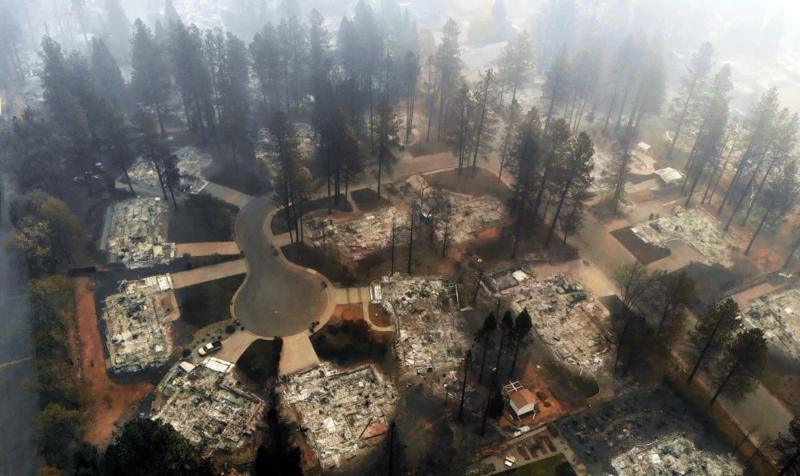 In this photo of the remains of a section of the Paradise wildfire, note the number of mature trees standing around and among the all the burned houses. Update Sonoma County Tree Ordinance Petition–Please sign! Please sign the petition below that will urge the supervisors to update their very weak, current tree ordinance to one that would be much stronger and not have blanket exemptions for some industry.